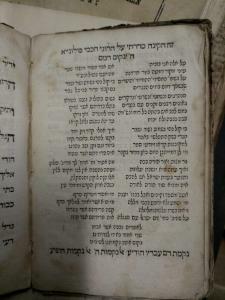 This kinah (elegy) appearing in Sefer Kol Yaakov (1658) by Yaakov Koppel ben Tsvi Margalit, was possibly written by an eyewitness survivor of the Chmielnicki massacres of 1648–1649. 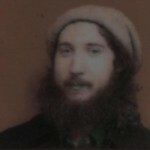 Many thanks to Fred MacDowell for bringing this kinah to our attention. As far as we know it has not yet been translated. 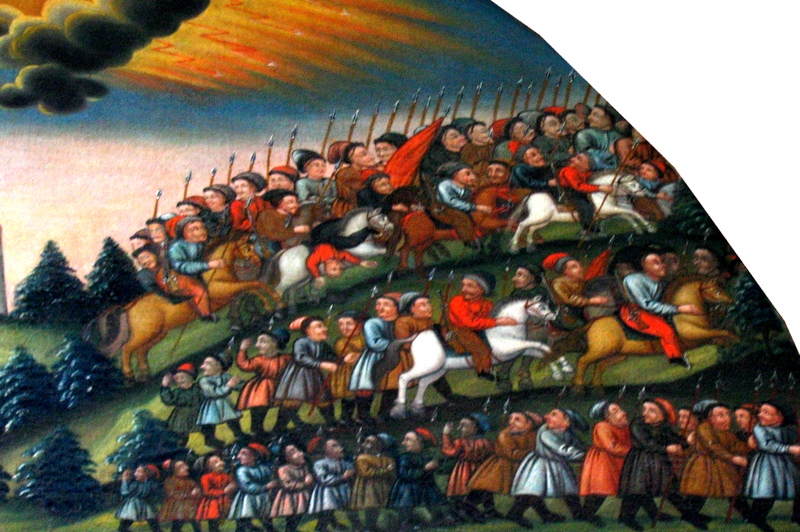 If you are moved to, please contribute a translation. 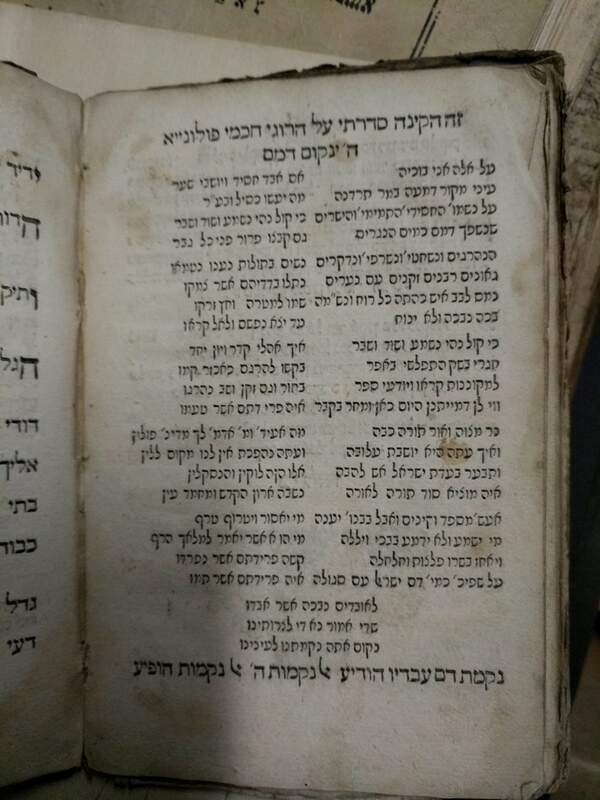 “Kinah for the Chmielnicki Massacres of 1648–1649 in Sefer Kol Yaakov (1658)” is shared by Aharon N. Varady (transcription) with a Creative Commons Attribution-ShareAlike 4.0 International copyleft license. Please reciprocate for any adaptation or redistribution of this work by (1) properly attributing the work to Aharon N. Varady (transcription) and Unknown Author(s), (2) clearly indicating the date you accessed the resource and whether any changes have been made (and if so, please be in touch with us and leave a comment below so that we might note your adaptation or improvement), (3) providing a link back to this source, and (4) specifying the Creative Commons Zero (CC 0) Universal license a Public Domain dedication under which this work was shared.